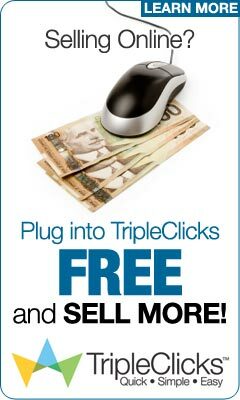 How much would you be willing to pay to learn how to implement a guaranteed 25% increase in your online sales? Given the current sales situation on your website, how much would that 25% increase in sales add to your bottom line? $250 per month? $500? $25,000? The good news is that I am not going to charge you for this information. I am just going to give it to you. Granted, it may require some work on your part to implement this little jewel, but you already spend untold hours searching for new business, right? While implementing this suggestion might require a few hours work on your part, it will continue to pay its dividends through the long-term future. If instead of building your own site, you employ a web designer to do your HTML work for you, this suggestion will cost you a few dollars to get the additional website work done. Let me reiterate. This step will result in a 25% increase in your sales. As far as I am concerned, your web designer should do as you desire him/her to do, or he/she should be replaced with someone who will. If I am paying someone to do a certain type of work for me, then they should do it as I require it to be done. As you begin to undertake this task, you may discover that you may need to find another web designer. Even when you are paying money for web design work, many of you will find your web designer fighting with you as to whether this step is important to your success or not. Let’s put this into perspective. Your web designer knows how to build websites. Knowing how to build websites does not necessarily lead to knowing how to market a website or how to sell products. You will shortly understand why web designers fight this suggestion with assertions that it will not make a difference for your online sales. No matter how strongly they may argue their point of view, 25% is a big chunk of business to give up to let them have their way. Nearly every web designer I have ever talked to uses software to build the websites they build. If you are building your own website, you likely use software as well. There are many packages these folks use including: FrontPage, Dream Weaver, Home Page or dozens of other variations of this software. While the software may be efficient for building What You See Is What You Get (WYSIWYG) web pages, quickly and easily, these software packages have many disadvantages as well. One disadvantage is that the software creates dirty HTML, which in effect is the act of placing too many HTML tags in the code. Often times, dirty HTML is best understood by looking at the code with an educated eye and seeing sets of HTML tags where they are unnecessary. It is now time for some Bill Gates’ bashing. Back in 1996, Bill Gates finally pulled his head out of the sand and realized the future for the software market was on the Internet. In a mad dash to catch up, Microsoft created Internet Explorer to compete with Netscape Navigator. Until this point, Netscape dominated the Internet browser market. As part of Microsoft’s strategy for gaining market share, they soon began to offer their browser for free to compete with Netscape’s $25.00 price tag. And secondly, but most dastardly, Microsoft began to create their own set of HTML codes. They wanted to be sure their browser could do things that the other browsers could not, and they wanted to make sure that web pages would not be completely compatible among the different browsers. The idea was that if people needed Internet Explorer to see certain web pages, then surfers would decide to give up their Netscape browsers for the Internet Explorer browser. Today, Netscape exists as the red-headed step child subsidiary of AOL. Netscape exists only as a bargaining chip in AOL’s pocket when negotiating deals with rival Microsoft. So, here we come to the point of this story. Prior to 1996, Netscape was loved the world over. Today, Microsoft’s Internet Explorer basically owns the market and has done so since about 1998. Folks who have come to the web since 1998 generally use Microsoft’s Internet Explorer as their browser of choice. Folks who have been on the web since before 1996 generally stay with Netscape browsers. Remember how Microsoft began to create their own set of HTML codes that would not be easily compatible with other browsers? Ah, we are to the meat of this deal. Web designers and their web page creating software focuses on being compatible the dominant browser in the marketplace. What this means is that a great many web pages cannot be read or seen in Netscape browsers. In a recent month, one of my domains had 6604 page views. Only 5285 of those page views were seen by Internet Explorer users. The remaining 20% were seen through another browser! No matter the domain visited or the month viewed, these numbers seem to hold up to the test of time. If your website is not viewable in non Internet Explorer browsers, then 20% of your current traffic may not be able to view your site and must move on to another site to find what they are seeking. They were at your site — you have already successfully attracted their attention — but they could only see a blank page when they arrived. It is like taking a $100 bill and breaking it into twenties and then flushing one of your twenties straight down the toilet! Getting that $20 bill back is the same as increasing your income by 25%. So how can we fix this quickly and easily? I have fixed many such pages in times past and in nearly every case, the problem can be quickly identified in the table HTML code. Yes, Microsoft does in essence use the exact same HTML as does Netscape, with a few extras thrown in. Where Internet Explorer differs from Netscape is actually pretty clever. Netscape browsers require that all tables are presented with accurate opening and closing HTML table element brackets. Internet Explorer differs from Netscape by not requiring perfection in the HTML code. Leave off a closing table bracket and Internet Explorer will show the table perfectly. Leave off the closing table bracket in Netscape and Netscape will deliver a blank page! Nearly every web designer on the planet utilizes table elements in their design. Remember the point about Dirty HTML? Now you know why web designers get very frustrated when you tell them that your web page must be cross-browser compatible. If a web designer wants my money, he had better be prepared to give me a cross-browser compatible web page so I do not have to lose access to 20% of my market because of incompatibility issues. Do yourself a favor. Get a copy of a Netscape browser and make certain that your website presents its contents to Netscape users. If you cannot see your website in the Netscape browser, the time has come to fix your website so that it will. If you do not believe that the 20% of us who use Netscape browsers are worth much to your bottom line, I have a suggestion. Fix you website because I asked you to and then start sending me the $20 bills that you have been flushing down the toilet. * When you are tired of the struggle of the link building process, it might be time to consider our “Links And Traffic” services. * When you are ready to employ more Natural Linking Strategies in increasing your link popularity, “Links And Traffic” can help. * When you are ready for your links to actually generate click-through traffic, we are here. This is not a link rental system or a reciprocal linking scam. We Guarantee our results.